I’ve been gluten-free for about two years now, and for much of those two years, I’ve been looking for the perfect gluten-free flour mix. There are several pre-bought mixes out there that work okay, but they are often very expensive and they rarely stand up to more demanding recipes like fluffy yellow cake or chewy sandwich bread. Well, a few weeks ago a friend of mine told be about America’s Test Kitchen’s How Can It Be Gluten Free? cookbook. She raved about the recipes, and said she hasn’t made a bad one yet. Intrigued, I bought the book. In addition to the recipes, the book also offers a lot of information about how to successfully cook with gluten free ingredients. The first thing they cover are the strengths and weaknesses of different gluten free flour mixes, and then they shared their own mix. Oh. My. Gosh. It’s good. I’m guessing I’m not alone in my search for a dependable gluten free mix, so I thought I’d share my discovery with you. I hope you like it as much as I do! And if you’re looking for a great cookbook, I highly recommend America’s Test Kitchen, the recipes are phenomenal! (This isn’t a sponsored post, I just really love the book). 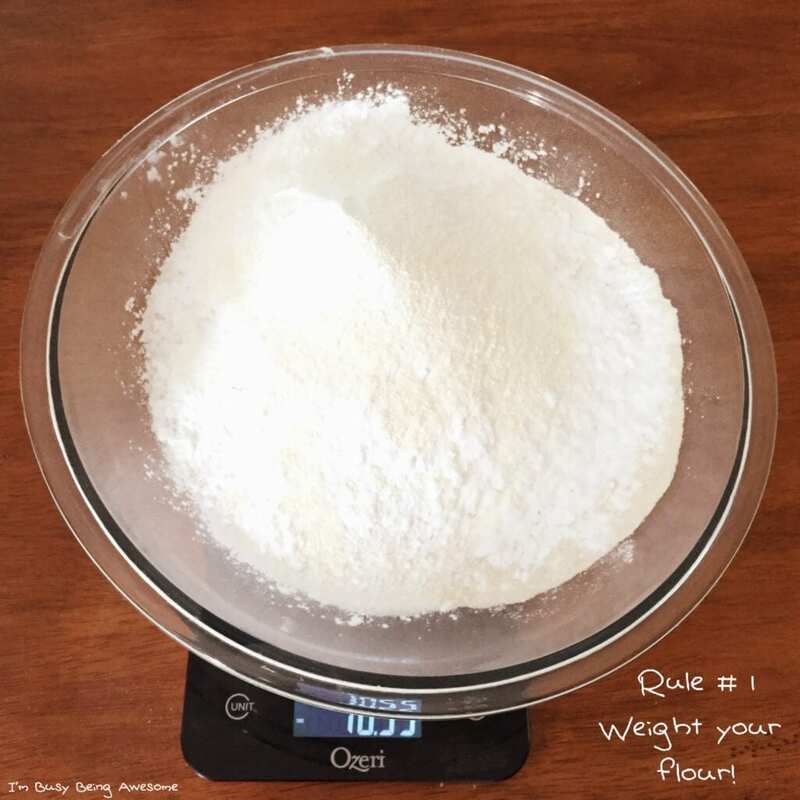 I can’t stress enough the importance of using a food scale and weighing your flours anytime you’re cooking gluten free. It makes SUCH a big difference in the final result. I can usually find my different flours in the grocery store, but now that I’m hooked on this mix, I just buy them in bulk from Amazon and save a few bucks. Are you gluten-free? 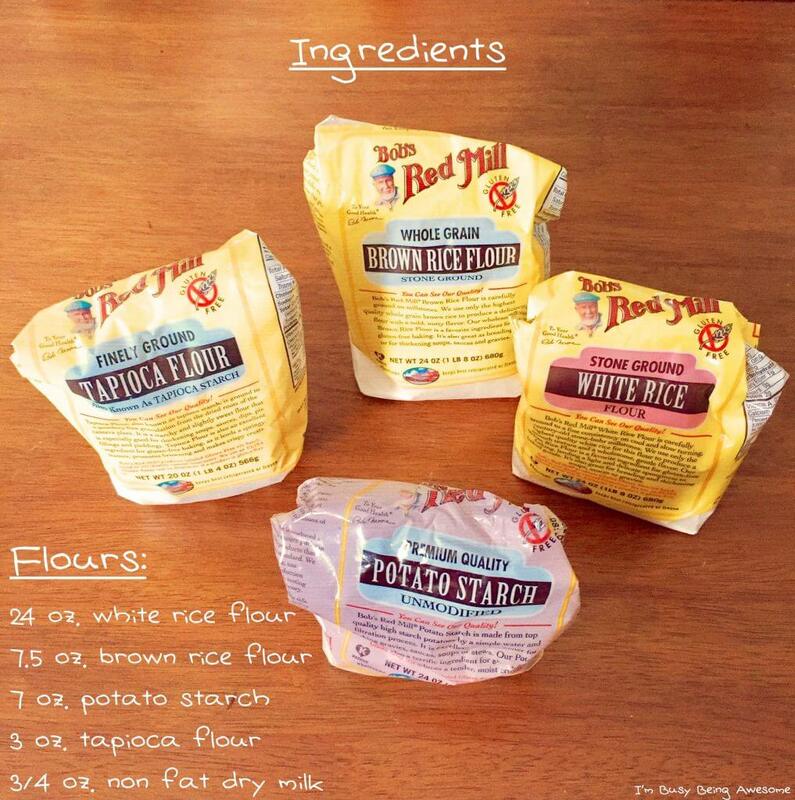 Do you have a favorite gluten-free mix? Let me know or link up below! Blend all ingredients together and store in an airtight container. Refrigerate for up to 3 months or freeze for longer.